Following are local farms offering CSA produce options this year. 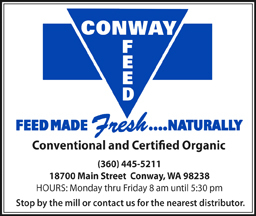 Please see their websites or call them directly for availability, pricing, and other details. Additional CSA sources confirmed for the season will be listed on our website at grownorthwest.com. 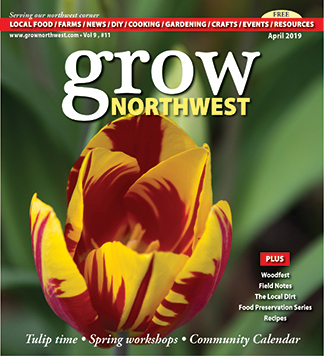 To send your farm’s information, please contact editor@grownorthwest.com. Local farmers offering Community Supported Agriculture (CSA) programs are busy preparing for the upcoming season. 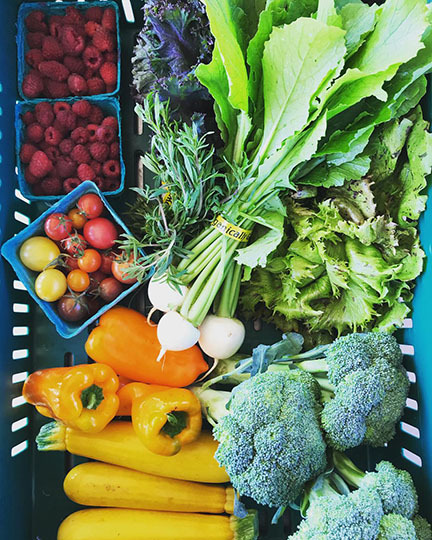 Most CSA options provide weekly boxes, allowing residents or businesses to subscribe in the late winter and early spring for a season’s worth of produce. The content of the boxes differ by farm, however generally include vegetables and fruits grown on site (or list off-site products). Some also offer extra choices and add-ons such as eggs, cheese, meat, bread, herbs and more. Enjoy the season! • Bellingham Country Gardens, east Bellingham: Sam and Mary Grubbs, (360) 223-3724, grubbssm@msn.com, bellinghamcountrygardens.com. • Cedarville Farm, east Bellingham: Mike and Kimberly Finger, 3081 Goshen Road, Bellingham, 360-592-5594, cedarville322@mac.com, www.cedarvillefarm.com. • Holistic Homestead and Spring Frog Organic Farm, Everson, Gretchen Norman Woody, (360) 303-3711, springfrogfarm@gmail.com, www.holistichomestead.net. • Kragnes Family Farms, Deming: Ben Kragnes and Tyne Stormo, (360) 599-1095, www.kragnesfamilyfarms.com. • Moondance Farm, Acme: Billy Tate and Nicole Brown, (360) 510-4828, billyandnicole@moondancefarm.net. • Pollen Folly Farm, Everson: Kelly Uusitalo, (425) 791-0742, pollenfollyfarm@gmail.com, www.pollenfollyfarm.com. • Rabbit Fields Farm, Everson: Roslyn McNicholl, (360) 393-8747, rabbitfieldsfarm@yahoo.com, rabbitfieldsfarm.com. • Rabble and Roost, Ferndale: Dakota Stranik, (360) 328-1375, rabbleandroost@gmail.com, rabbleandroost.com. 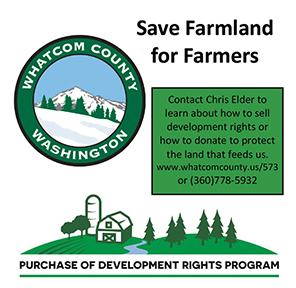 • Sumas River Farm, Sumas: Helen Solem, (360) 319-0895, helen_solem@yahoo.com. • Terra Verde Farm, Everson: Amy and Skuter Fontaine, (360) 393-2520, terraverdefarm@gmail.com, www.ieatveggies.org. • Blue Heron Farm, Rockport: Anne Schwartz, (360) 853-8449, als@fidalgo.net. • Boldly Grown Farm, Mount Vernon: Amy Frye and Jacob Slosberg, (206)795-5715, boldlygrownfarm@gmail.com, www.boldlygrownfarm.com. • Hedlin’s Family Farm, Mount Vernon: (360) 466-3977, www.hedlinfarms.com. • Highwater Farm, Mount Vernon: Danielle and Jeff Chevalier, Highwaterfarm@gmail.com, http://wholewhirldance.wix.com/farmfit. • Viva Farms, Mount Vernon: (360) 969-7191, info@vivafarms.org, www.vivafarms.org. • Waxwing Farm, LLC, Mount Vernon: Arielle Luckmann, (360) 961-0744, waxwingfarmllc@gmail.com, www.waxwingfarmllc.com. • Bell’s Farm, Coupeville: Three generations of the Bell family, (360) 678-4808, bellsfarmandstorage@gmail.com, www.bells-farm.com. • Deep Harvest Farm, Freeland: Annie Jesperson and Nathaniel Talbot, deepharvest@gmail.com, deepharvestfarm.com. 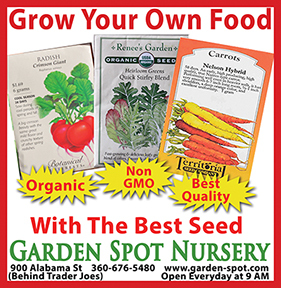 • Rosehip Farm & Garden, Coupeville: Linda Bartlett, (360) 678-3577, rosehip@whidbey.net, rosehipfarmandgarden.com. • Garden Treasures Organic Farm, Arlington: Mark and Patricia Lovejoy, (360) 435-9272, gardentreasuresfarm.com. • Maple Rock Farm, Eastsound: John Steward, (360) 376-6080, maplerockfarm.com. • Sweet Earth Farm, San Juan: (360) 378-6717, sweetearthfarm.sji@gmail.com, sweetearthfarm.com. 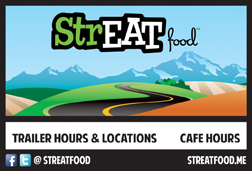 In addition, the Sustainable Connections Member Lunch on Wednesday, March 6 will focus on connecting local businesses and employers interested in organizing a Workplace CSA or “Farm Fresh Workplace” at their business. Networking opportunities will be available to attendees. The lunch starts at 11:45 a.m. For more details or to register, see sustainableconnections.org. Correction: The print edition of this article included Growing Washington as a farm offering a CSA in Whatcom and Skagit counties. The farm has decided not to do a CSA in 2019.